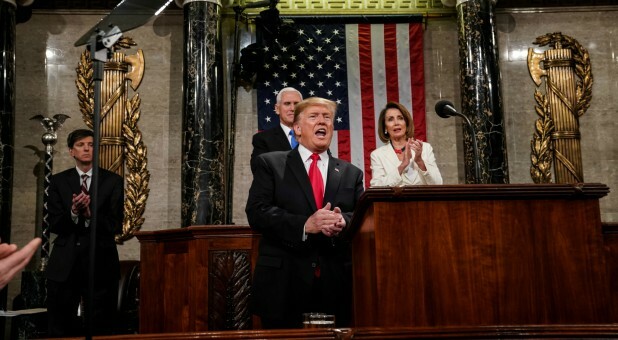 President Donald Trump affirmed pro-life position during his State of the Union address. “There could be no greater contrast to the beautiful image of a mother holding her infant child than the chilling displays our Nation saw in recent days. Lawmakers in New York cheered with delight upon the passage of legislation that would allow a baby to be ripped from the mother’s womb moments before birth. These are living, feeling, beautiful babies who will never get the chance to share their love and dreams with the world. And then, we had the case of the Governor of Virginia where he basically stated he would execute a baby after birth,” Trump said. “To defend the dignity of every person, I am asking the Congress to pass legislation to prohibit the late-term abortion of children who can feel pain in the mother’s womb. Let us work together to build a culture that cherishes innocent life. And let us reaffirm a fundamental truth: all children—born and unborn—are made in the holy image of God,” Trump said. This entry was posted in Trump and God, Trump gives hope, Trump God's Man, Trump Pro Life, Trump State of Union address Feb. 2019 and tagged God is in control, Good versus evil, USA at cross roads, window of opportunity. Bookmark the permalink.